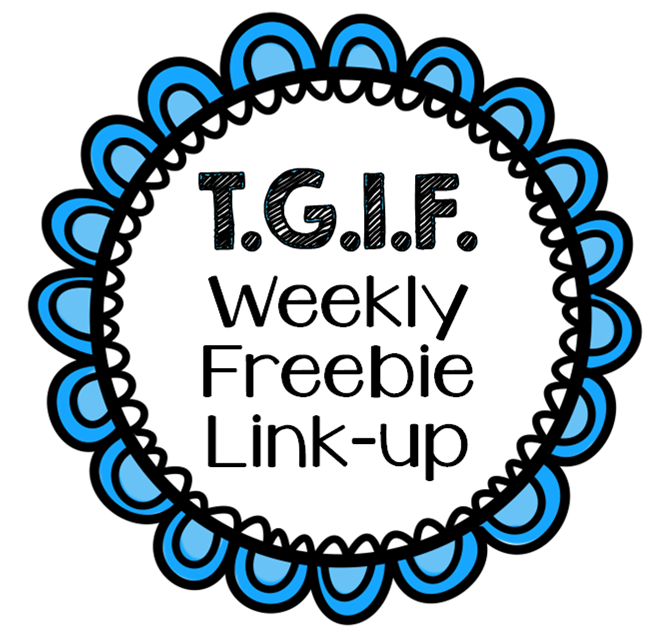 I am linking up again with Teaching With Nancy's weekly linky - TGIF - Thank Goodness It's Free! Be sure to head over to her blog to pick up some more free stuff! 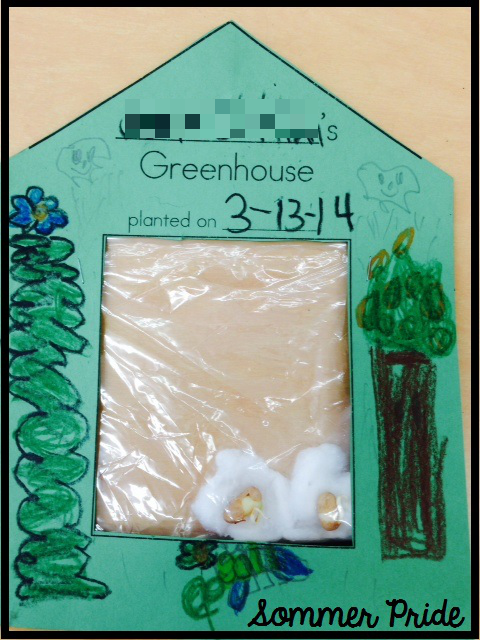 We are finishing up our unit on plants and here are the greenhouses that we made. I have seen similar designs on Pinterest and decided to create one that we could use. Let me pause here to say - SEEDS ARE AMAZING! I forgot to buy bean seeds and remembered that I had pinto beans in my sensory bins! So I just grabbed some from the bins!!! And did you know that you can use dry bean soup mix from the store to sprout? Here are the seeds on Day 1. I love planting in plastic bags, because we are able to see all the plant parts! You can grab the Greenhouse pattern and directions below! Just click on the cover thumbnail! Absolutely love this!!! Thank you so much for sharing! My kids will love this and they can take it home and show it off as well!! It is also something they can do at home again and again because it is all with everyday things that are laying around...baggies and paper. You are awesome for thinking of this and sharing and it is much better than yogurt cups or baby food jars!!!! Thank you so much for sharing, what a great idea. We are going to give this a go in the kinder I'm working in. Hope your Kinders love it! Enjoy! Love your idea! I was looking for a planting idea and your greenhouse is perfect! I was wondering...how often did you water the plants? And how did you hang them on the window? I would like to know what is the white thing I see inside the bag?. Please let me know, I would like to do this for my enrichment activity with kindergarteners. Soooo adorable! My third graders do this science activity each year, however, I never would have thought of the cute greenhouse to display their seed experiments, genius! Does your students plant their seedlings in school or take it home to plant? I am thrilled about the greenhouse project! In most teacher supply stores, these greenhouses cost a small fortune!!! Is it best to put these in a window to the outside? And do I add water at all? I have always hung them in a window to the outside so they can get sunlight. I haven't ever added extra water to the bags. The damp cotton balls in the plastic bag acts as a mini greenhouse and it keeps the moisture in. But check them every few days to be sure they look moist enough. I have actually had more trouble with them getting too wet and moldy. I love your greenhouses. We just had to throw our unsprouted beans away due to intense mold. Suggestions for our second try on going mold free? That's no good! Did you presoak the beans? That gives them a little bit of a head start on growing. Also, I think that your cotton balls may be too wet. Try moistening the cotton just a little bit - squeeze out the excess moisture. Hopefully that will work for you. I have seen someone else do these by putting a row of staples above the cotton balls and then the seeds so that the moisture is in the bag but no direct contact with the seeds to avoid mould. Are red kidney beans ok to use for this project? Thanks! I have never tried them, but they should work. Give it a try! You're welcome! This will be great to do for a Spring party! No question is a silly question. :) Yes, zip the bag closed. Thank you so much! I know my first graders will LOVE this activity! Did you leave the baggie unzipped to let air in? No, I leave it zipped. They also wanted to plant a jellybean to see if it would grow. Cant wait to see how fast they grow. GREAT IDEA... Thanks..
Definitely enjoy this specific!!! Thanks a lot much pertaining to expressing! Our little ones will love this specific and they also will take the idea household along with demonstrate the idea off of also!! It is usually a thing they might accomplish in your house all the time given it can be most using every day stuff are generally putting all-around!baggies along with card stock. You happen to be wonderful pertaining to pondering this specific along with expressing in fact it is as good as yogurt servings as well as newborn foodstuff jars. I am excited to try this experiment with my daughter for her Kindergarten science project. How many days total did you leave the plants in the greenhouses? I don't want to start the experiment to early or too late. Hi! After presoaking the seeds, it took 11 days for the seeds to grow as shown in the pictures above. However your seeds may grow at a different rate than mine did. Once they fill most of the bag, you can take them out. Thank you for sharing! This is so cute. My homeschoolers love this idea. We've planted beans before in a cup, but this looks so much more fun. Did these last year with 5 year olds - great success. Have previously used kidney beans and tomato seeds both worked - so maybe try again.